Research: Reliable, statistically replicated, and unbiased field research from which you can make sound management decisions. Low overhead and a private/public partnership keep costs manageable for your business. Work is in close cooperation with input from Cornell and other Land Grant Universities researchers giving you a greater depth of understanding the solutions. All business information is kept in strict confidence. 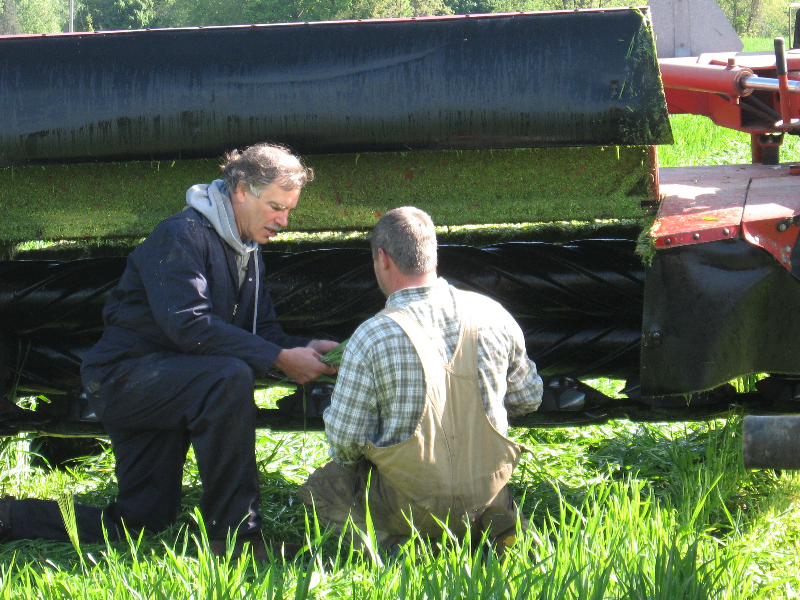 Educational Opportunities: Crop Soil eNews: a free newsletter for farmers available from this web site focused on recommendations, research, and management for dairy and field crop in the Northeast. Seminars available for your audience (farmers, sales staff) are dynamic presentations on all aspects of management in the soil/crop/dairy system. These are based on replicated research within real farm experiences. Designed to fire your audience up to make changes in their business. Consulting: Bringing 34 years of on farm experience as part of a crop/dairy/farm management approach gives you an integrated analysis that understands and considers the impact of a decision across your entire farm system. This approach utilizes your resources, limitation, and time to optimize the profitable production of milk from forages.